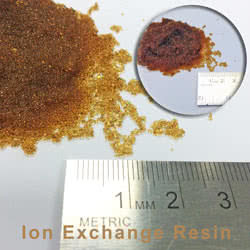 Ensign Water Softeners use a non-electric softening process. No electricity is used to soften the water. This is because all water softening is non-electric. The term non-electric water softener is simply a marketing term used by the mechanically controlled water softener people to try to imply that all the others are ‘electric’. 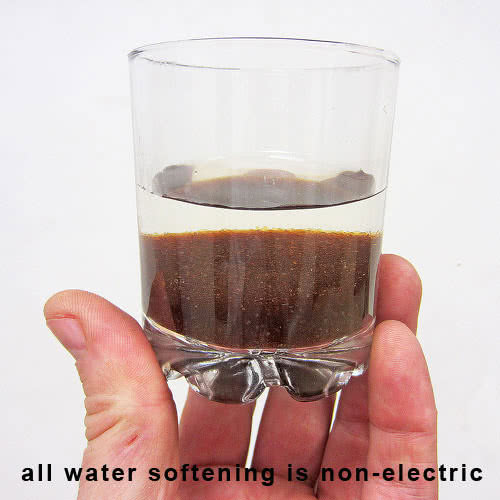 The truth is the water softening process in everyones water softener is non-electric. In the marketplace, the choice is between the mechanically controlled water softeners with cogs, gears or mechanical pressure drop displacement meters to count the gallons or electronic controlled water softeners with frictionless electronics to count the gallons. Neither choice uses power to soften the water. FACT: Ensign Water Softeners use a non-electric softening process. FACT: The 12volt electronics to keep the time of day, count the litres used and control the salt low monitor only. That'll cost about 15p a month, with no cogs, no gears and no wear. No power is used to soften water.